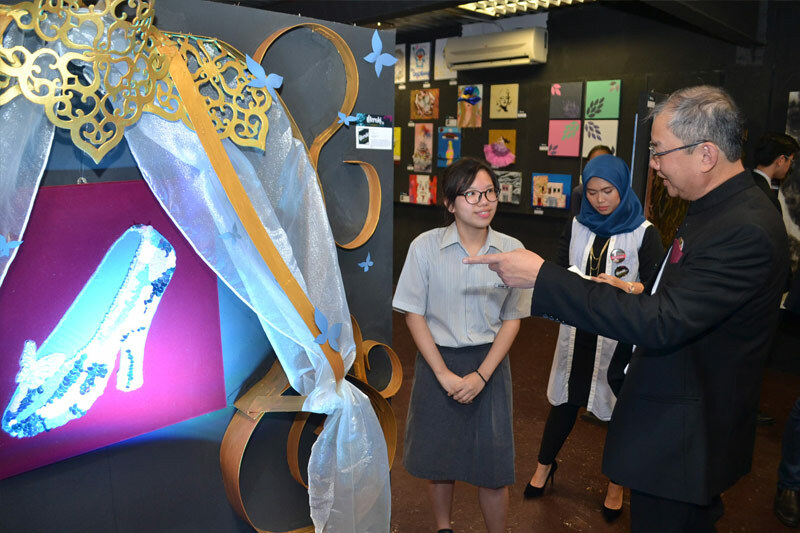 Subscribing to the idea of arts being an integral part of human experience and existence; R.E.A.L Schools, Cheras Campus held its annual ‘Meraki’ art exhibition to showcase students’ and teachers’ artistic talents. This year’s edition of the event, dubbed the ‘Meraki 2.0 Art Festival & Carnival’, also celebrated students’ self-expression in other creative pursuits; namely dancing, designing, and acting. 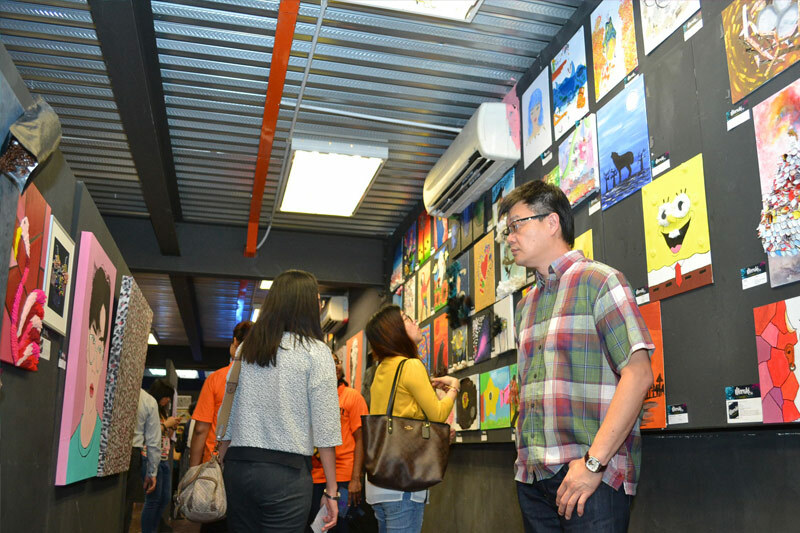 The week-long exhibition which ran from 2 to 6 October 2017; featured a wide collection of paintings, photography, collage, and other forms of artwork that utilized a mixed bag of media and materials. Several works by professional guest artists were also on display at the event, which provided a public platform for students to express their ideas, interests, and emotions through artistic lens. 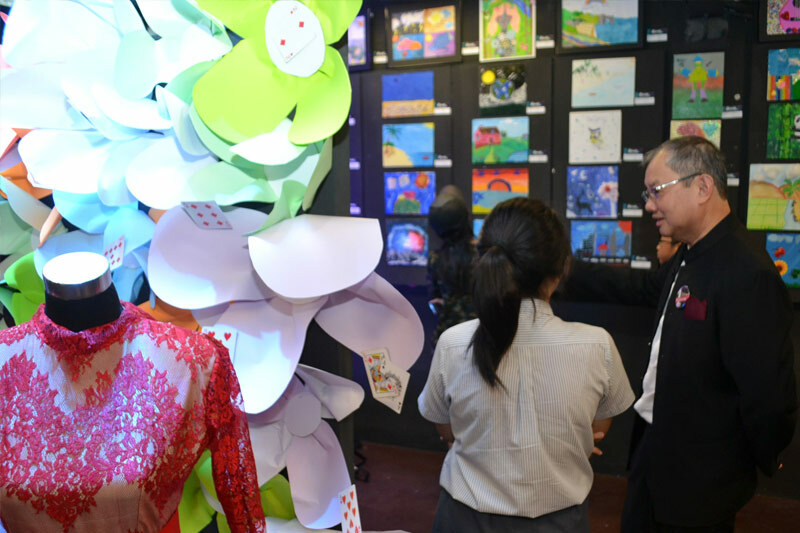 Present was Group President Mr. Ee Ching Wah, who officially opened and closed the exhibition on a day which also marked the 1st anniversary of Bella Café. The student-run café has grown to be a thriving and staple feature of the school landscape ever since it began operations a year ago. A new addition to the Bella name is ‘Bella Vintage’, a boutique of sorts which sells clothes and other fashion accessories that were created by the student designers and teachers themselves. 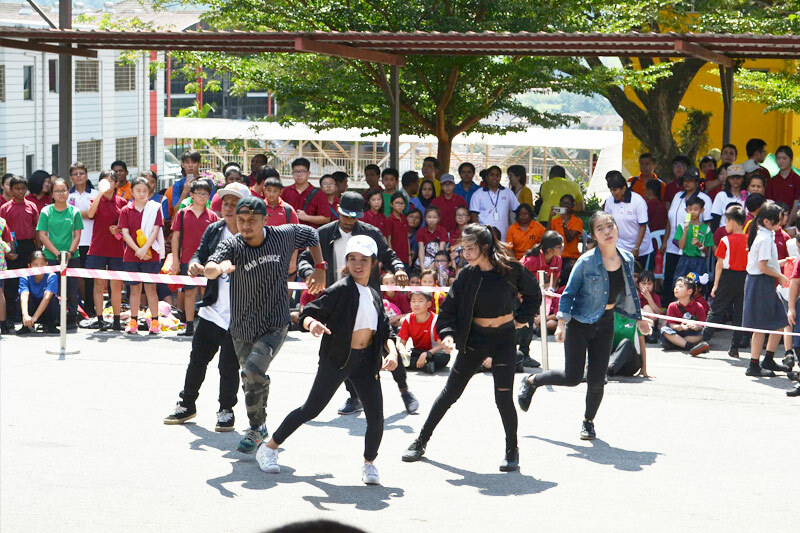 Besides the Art Gallery Tour (which kicked off with a presentation by the Food Technology students), there were mini theatre and street dance performances at ‘The Arena’ by the talented Art & Design (A&D) Department team that keep everyone entertained. A mini carnival was also set up; with booths offering visitors a host of delectable drinks, desserts, and snacks, as well as fun games and commemorative souvenirs. The impressive showcase of artwork that was put together only serves to highlight the depth and breadth of the artists’ skills, technique, and imagination. As is customary, all paintings were put up for sale and part of the proceeds were given to the student artists and also donated to selected charitable organizations. Overall, Meraki 2.0 is testament to R.E.A.L’s transformative learning experience as it provides students a unique opportunity to pursue their passion and interests. The post ‘Meraki 2.0’ – Bigger, Bolder, and Better appeared first on best international schools in malaysia.